Well hello there! As much as I hate having to do a "catching up" post, it seems like one is warranted today because I realize I've been AWOL lately. The past two months, frankly, have been crazy. It's a wonder I've been able to write here at all with all of the commotion of end-of-school activities, graduation, a quick trip to PA, a family vacation, and a couple of birthdays thrown in for good measure. I hate to recap like that because everyone has busy lives and everyone can say that things have been crazy and everyone has an excuse as to why they haven't done what needed to be done. Still, I want to catch up with you! Graduation weekend was so much fun. Any time family and friends come together to celebrate is fun in my book, and this was no exception. Julia finished with a flourish and we all closed a very special chapter in our lives. I've spent a lot of time reminiscing over the past few weeks about our years in public school here, and when it comes down to it, I feel so grateful for all of it. Some years have been hard, both academically and emotionally. Some years have been fun, filled with teachers who made learning a blessing and a delight. Some years have just been stretching and growing years that we needed to simply hold on tight to get through to the other side (hello, junior high!). Through it all we have been blessed with an amazing community that has walked alongside our girls, both neighbors and friends who have known them for their entire lives. And that's something we don't take for granted. As soon as the party favors and decorations were put away, we packed up our car and headed out for a week of family vacation. We decided to try hard to get everyone together this year since we weren't sure when that would happen again. 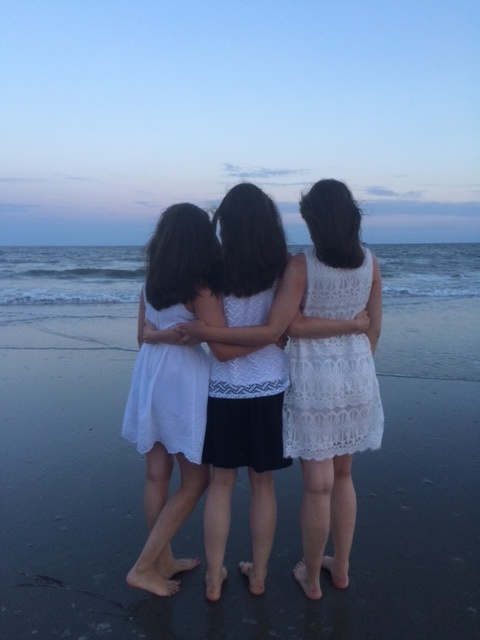 The girls cooperated and took a week off of work, and I booked us a villa in our favorite vacation spot: Kiawah Island, South Carolina. You guys. I just can't even begin to explain how special that place is to us, and how special our week was. I'm sure I'll write more about it soon, but let's just say that a week on one of the most beautiful beaches on earth was JUST what this family needed. We read, relaxed, and rode bikes all week. We ate wonderful seafood and played cards and watched our favorite movies together. We talked and talked and talked, as we do. All-in-all, I'd say the week was a success. So now we're home and summer is in full swing. Soon we will be in all-out packing mode, but for now, we're just enjoying the long days and the beautiful weather. 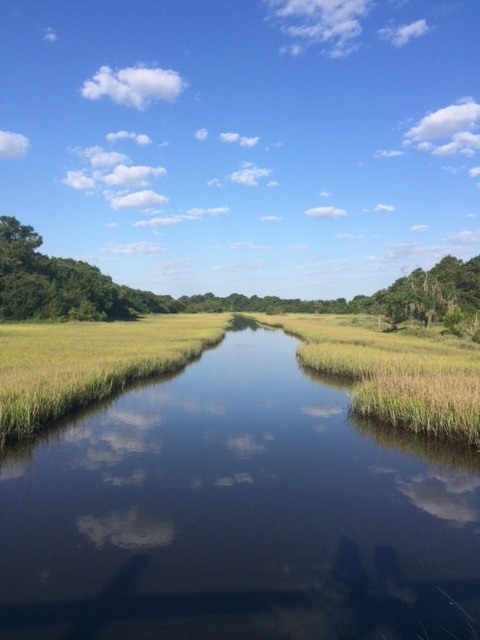 While I was on the beach last week, I read a few books that I wanted to tell you about. 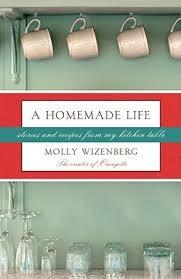 I'm kind of in memoir mode right now, so I read A Homemade Life: Stories and Recipes from My Kitchen Table by Molly Wizenberg, which I loved so much. Every page made me smile, and Wizenberg's way with words made me gobble up every turn of phrase. Plus, she gives a ton of recipes throughout the book--one at the end of each chapter--several of which I'd love to try. 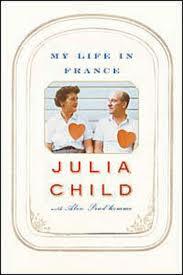 The second book I read was Julia Child's My Life in France (are you sensing a theme here?). Also a fun and interesting read that I'm sure I'll go back to in years to come. What an interesting life Julia led! Finally, a book NOT in memoir mode, but also interesting if you're trying to understand people a little better. 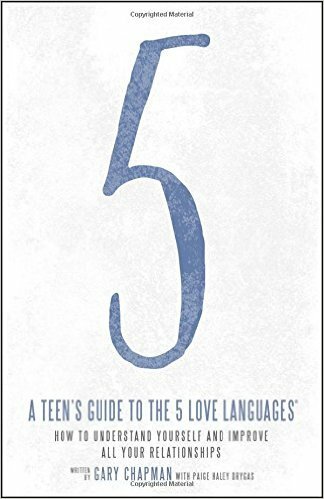 A few weeks ago I was sent a copy of A Teen's Guide to the 5 Love Languages by Gary Chapman, so I saved it to read on the beach with my teenager beside me. (Ha!) It's a much simpler version of Chapman's classic book, written directly for teens (I'd say it's more geared toward younger teens as it might be a little simplistic for an older teen of, say, 18 or 19). The first half of the book outlines what the five love languages are, and the second half of the book talks about how to apply them, both for the teen and for their family members and friends. This book is such a great resource for teenagers, a reading market that seems to be underserved in the non-fiction realm. It's practical. It's well-written directly to teenagers. It's helpful, especially during years when conflict might be at its peak in the home. And one of the best things about the book is that it gives godly advice without being in-your-face about it (teenagers hate that). It was great for me to read with my family nearby, giving me time to think about how I could best show love to them in this new season of life. So now I think we're fairly well caught up. It's a new week and a new chance to go out and "do small things with great love" as Mother Teresa encouraged us to do. This week I'm going to try to write more, so stay tuned for a continuation of my Intentional Parenting::Reprise series and maybe a recipe on Friday. What are YOU going to do with great love this week? You are blessed my friend!! So glad you got to have everyone together on the trip. I know how special that is for you! Yes, yes, more pictures please of your trip. I've never been there and would LOVE to head that way some day. Enjoy the summertime. Those girls will all be moved and settled before you know it. And yes, you will be fine :)! Different, but fine! I really do hope that one day we can meet. We are going through the same "stage" of life. Blessings to you my friend! !